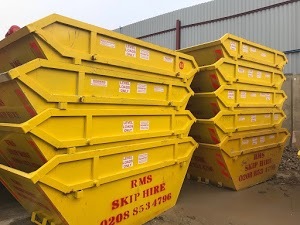 RMS Skip Hire is the most trustworthy Skip Hire company in Chislehurst for residential, commercial and industrial projects. We offer a professional service and a consistent passion for offering the best skip hire services to each client in the South East London & West Kent area. We strive to provide the most comfortable and satisfying skip hire experience to our clients. Our skip hire professionals are committed to understanding your skip hire needs so that they can assist you in selecting the right -sized skips for your project. We are not only the most reliable Skip Hire company in Chislehurst but have also managed to carve out a reputation of being the most affordable skip hire provider. We are known for offering timely skip hire solutions at an affordable rate. Our biggest strength is the genuine desire of our skip hire professionals to solve your skip hire problems. Our eco-friendly skip hire and waste management solutions distinguish us from the rest. Our waste management experts isolate the general waste from recyclable items, which prevents us from dumping everything that we collect from your premises to the landfills. We deliver quality skips to your home or job site based on your convenience. Whether you need the skip on the same day or you want us to place them on site the next day, we will deliver them as you require. So, if you are looking forward to eliminating residential, commercial or industrial waste in Chislehurst, you can book quality skip hire and waste management services from RMS Skip Hire at a highly competitive rate.